Who is to blame for road rage and danger on the country's streets? That depends on who you ask, according to a new study. Whether you're a cyclist or a driver, chances are you've cursed under your breath — or out loud — at someone who has cut you off or almost hit you. But who is to blame for the road rage and danger? That depends on who you ask. A new study from Angus Reid Institute found 43 per cent of respondents believe there is "quite a bit of conflict" on the roads. Within that group, a majority say cyclists are to blame. 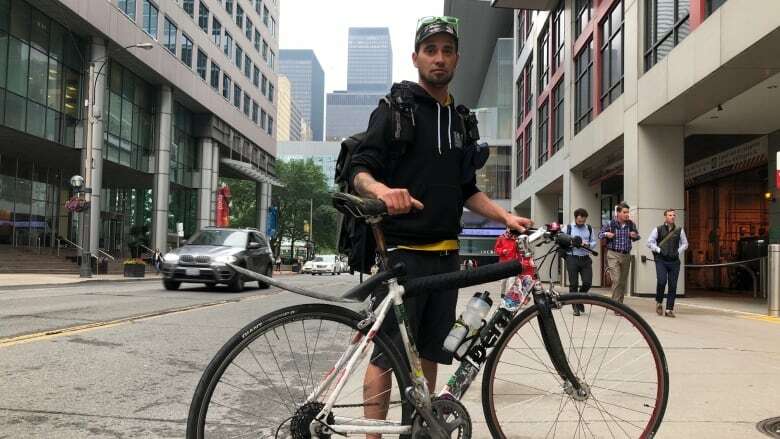 "The reason I say [the results] are not surprising is because there are simply more drivers on the road today than cyclists," said Shachi Kurl, executive director of Angus Reid Institute. "We are really at an intersection of more bike lanes and changing mindsets over how drivers and cyclists share the road." The study also shows a divide in perceptions from respondents depending on where they live in the Greater Toronto Area. 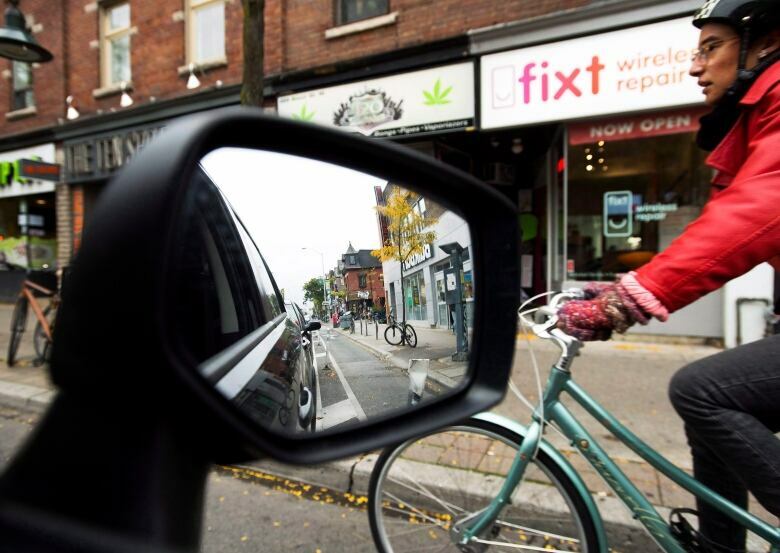 Some 77 per cent of respondents from suburban 905 areas said they do not see much conflict between drivers and cyclists. However, 60 per cent of respondents from the more dense and urban 416 areas perceive conflict to be common. To date, 21 pedestrians and cyclists have been killed in collisions with motor vehicles in Toronto in 2018. Bob Sutton knows how aggressive drivers can get on the streets of Toronto. He's worked as a bike courier for 13 years and has seen every illegal and dangerous move under the sun. "You've really got to watch traffic. Even with the new bike lanes on Richmond and Adelaide, drivers don't look — I'd say 50 per cent of the time — before turning," Sutton said. He said tension and anger continues to grow on the streets and called on drivers to do their part. "People who drive downtown feel like cyclists aren't allowed to be on the road," he said. "But we're legally part of traffic, expect that we're going to be there." Liz Sutherland of Cycle Toronto, a cycling advocacy organization, said bike riders are usually the most aware road users. "Knowing that we will be the ones that take the brunt of it, that if there's a collision, it'll be our bodies that the violence will be perpetrated on," she said. Faizal Mohammed gets frustrated daily by the moves cyclists make. He's been to every corner of the city working as a cab driver and said there is bad behaviour everywhere. "[Cyclists] don't follow the rules. There's no safety measures, no helmets, they don't follow the lights. No anything." 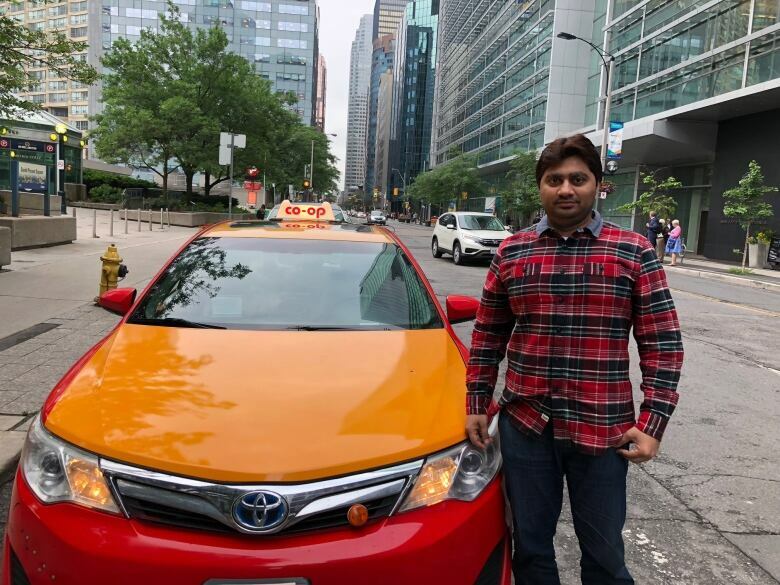 Mohammed said it can be difficult for drivers to see cyclists in the mix of traffic and hopes there will be a licensing program, similar to how drivers need to take tests before hitting the road. "If there are ever any mistakes, they hit the car and are abusing, then they run away." 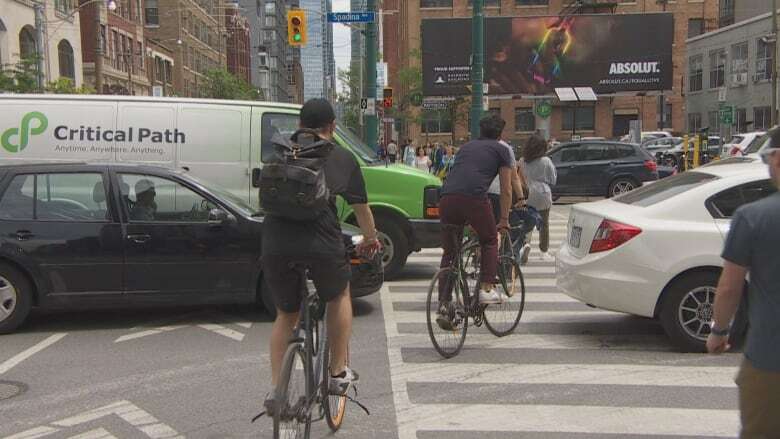 While the study finds that Canadians perceive cyclists as being the ones to blame, Yvonne Bambrick, an urban cycling consultant, said data proves that to be false. According to Bambrick, data from a 2015 report from London, England's Department of Transport suggested that 60 to 70 per cent of the time drivers were solely responsible, while cyclists were to blame 17 to 20 per cent of the time. Cycle Toronto also cited a 2012 study from Ontario's Office of the Chief Coroner that reviewed 129 cycling deaths. Both drivers and cyclists shared 33 per cent of the blame in those instances, with the remaining percentage showing both sides as responsible. But Bambrick said ultimately, playing the blame game between two sides solves nothing and that city officials need to be held to account. "The transportation department is failing all of us...none of us should be in a position, drivers and cyclists alike, where we are put into contact with each other, where an inevitable mistake happens," she said. Both Bambrick and Cycle Toronto are calling for a lowering of speed limits and more separated bike lanes to make roads more manageable for cyclists and drivers.